What does your ideal birth look like? Do you imagine yourself in a semi-conscious state surrounded by surgeons in masks and bright lights? The vast majority of mothers would not choose a birth like this. So why does the rate of babies born via surgery continue to rise? In 1965 the national cesarean section rate in the U.S. was 4.5% (1). The World Health Organization says a healthy national c-section rate is between 5-15%. In the U.S in 2012 it was 32.8% (2). This rate is one of the highest in the world. 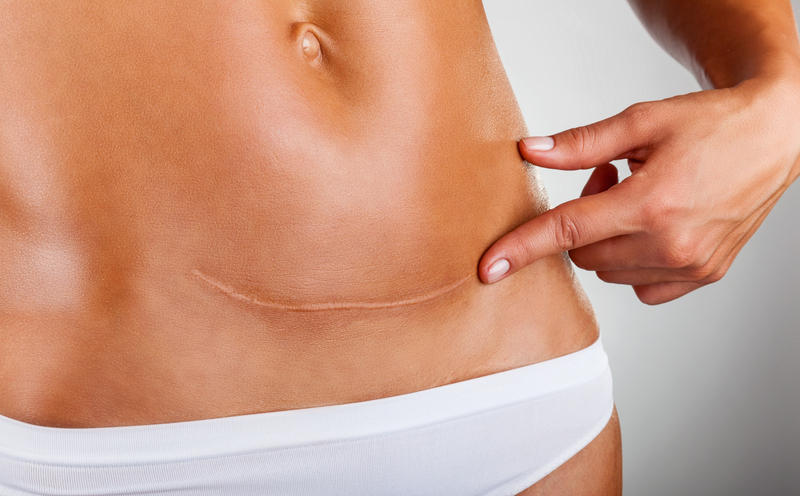 Cesarean sections do have their purpose; they can be life saving in an emergency situation. However, they are vastly overused. The World Health Organization reported 673,047 unnecessary c-sections in the U.S. in 2010, the price- approximately 700 MILLION dollars (3). Here are some action steps you can take to improve your birth experience and increase your chances of a successful vaginal birth. 1. Shift the way you think about yourself and your body. Your mind has more power and control over your body than you think. Your body was created with the innate knowledge and ability to birth your babies. BELIEVE THAT. Even if you have already had a c-section (or several)- GOOD NEWS: your body has not lost this innate capability to birth. Pregnancy and birth are natural processes of life- not medical conditions that need treatment. The current US birth culture has led to women who are terrified of birth and have little confidence in their bodies’ ability. Remember your ancestral sisters who successfully birthed babies for thousands of years before modern medicine came along. Change your thoughts when you have doubts that you can do it- your mind is only thing standing in your way. 2. Choose the right care provider for YOU. Not all doctors have the same approach to birth. Choose a care provider who has a solid trust that birth works naturally. Interview midwives and OBs until you find one that aligns with your beliefs and wishes. Use your momma instincts. Ask questions. If you choose to birth at a hospital, know the c-section rates of your provider and the hospital. Choose a hospital that has a reputation of being natural labor and birth friendly. Or choose home birth or birth center with a midwife who you trust and connect with. Birth is personal and it’s YOUR experience. Women in my practice constantly tell me that they wish they would have known about chiropractic care during pregnancy (Or their first pregnancy). Most people have no idea what a difference pre-natal chiropractic care makes. Proper alignment of the spine and pelvis is VITAL to an easier, less complicated delivery and a decreased need for medical interventions. First time moms under chiropractic care have an average of 25% shorter labor time, while 2nd time (and beyond) mothers have an average of 31% shorter labors (4). The sacrum (lowest bone of the spine) is considered the “door” of the birth canal. It can become stuck (decreased range of motion), leading to a less than optimal position of the baby. A baby that is not properly positioned can cause painful “back labor”(baby in posterior position), asynclitism (baby’s head tilted toward one shoulder), and prolonged labor that does not progress, which is risky and exhausting to both mom and baby. When sacral misalignment is corrected by a gentle chiropractic adjustment, the baby is freed from constraint to move into the best position for birth. The proper positioning of the baby’s head during labor encourages dilation of the cervix and flow of labor hormones such as oxytocin, which brings on uterine contractions. Regular adjustments during pregnancy are essential to prevent these issues at delivery and throughout pregnancy. Chiropractic care eases the discomfort and supports your body as it adapts to the rapid changes that occur during pregnancy, such as a shift in the center of gravity and lax ligaments. 84% of women who receive chiropractic care during pregnancy find relief from back pain (4). Do you have a breech baby? The Webster Technique, performed by a certified chiropractor, addresses sacral misalignments and results in a properly positioned (head down) baby with a 92% success rate. The Greek word “doula” means “woman who serves”, and that is precisely what they do. Doulas are trained and educated in supporting families during pregnancy, birth, and post-partum. They meet with you during pregnancy to answer questions and learn how they can enhance your family’s journey and help you achieve the birth experience that you desire. Your doula will come to you when you go into labor, and will be with you throughout your labor and birth, offering support, guidance and empowerment to achieve your ideal birth experience. Your doula also offers post-partum support and breastfeeding help. 5. Visualize your baby’s position. You should also tuck your own chin to your chest during labor when you are having contractions; this sends a message to your baby to mimic your position. Epidurals and other drugs used during labor can increase your risk of c-section. In a study done by Dr. Michael Klein, physicians who used epidurals 40% of the time or less had a c-section rate of 14.8%, while those who used epidurals 71-100% of the time had a c-section rate of 23.4%. The study also showed that when an epidural was used before the cervix was 4 cm dilated, the c-section rate doubled (5). Your amazing body creates a unique cocktail of endorphins and hormones during labor that creates natural pain relief and love bonding for you and your baby. These hormones orchestrate the timing and progression of labor safely and beautifully. Epidurals and other drugs interfere with this natural process. With an epidural, you will be partially or fully paralyzed and numb from the waist down, but your baby will still experience pain, as your body's natural endorphin production is disrupted. 7. Get off your back! Do you lie down on your back with your legs propped up to poop? Didn’t think so! Lying down during labor pins down your sacrum (remember the “door”?! ), inhibiting sacral movement, and decreases the pelvic outlet by a whopping 28%! (6). No other mammal in history gives birth lying on its back- it’s just not natural. The most optimal position for birth is squatting or hands and knees for the maximal pelvic opening. Why not use gravity to your advantage and work with your body instead of against it? 1. Taffel SM, Placek PJ, Liss T. Trends in the United States cesarean section rate and reasons for the 1980-85 rise. Am J Public Health 1987;77:955-9. 4. Borggren CL. Pregnancy and chiropractic: a narrative review of the literature. J Chiropr Med. 2007 Spring;6(2):70-74. 5. Klein MC. Does epidural analgesia increase rate of cesarean section? Can Fam Physician 2006 Apr:52;419-21, 426-8. 6. Blackburn ST. Maternal, Fetal and Neonatal Physiology: A Clinical Perspective. Parturition and uterine physiology. St. Louis: Maternal, Fetal and Neonatal Physiology: A Clinical Perspective, 2007.